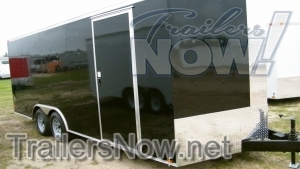 Searching for an cargo trailer for sale in Florida? Look no further. The team at Trailers Now Trailer Sales can save you hundreds, perhaps even thousands on your purchase of an enclosed trailer for sale and delivery to Florida. 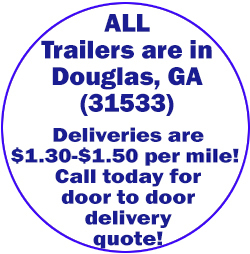 Set up a delivery anywhere in the state of FL, or save yourself much more cash and get your enclosed trailer from our location in Douglas, GA. The majority of enclosed trailers for sale in Florida will certainly not come with a 5 year manufacturer’s service warranty, and there’s no guarantee that they’re constructed with a strong steel-tube main frame supported by a trustworthy plywood interior– standard features at Trailers Now Trailer Sales. Other enclosed trailers for sale in FL will not feature that factory direct low rate, and they certainly will not have the assurance of a five year manufacturer’s service warranty. Our reliable enclosed trailers have a 5 year manufacturer’s service warranty, and they’re constructed with solid plywood interiors and a durable steel-tube frame. Unlike enclosed trailers with lightweight, pushed wood chip interiors, the enclosed trailer alternatives at Trailers Now Trailer Sales will last for several years to come– and they’ll never let the elements harm your precious cargo.